Diabetes, also referred to by doctors as diabetes mellitus is a medical condition in which too much glucose (blood sugar) accumulates in the blood. Cells in our body require a metabolic hormone called insulin to absorb blood sugar before it is converted to energy. Diabetes develops when the body does not produce enough insulin or produces no insulin at all. When this happens, too much glucose remains in the blood outside the cells. Thirst and excessive urination: Due to diabetes, the glucose level in the body goes up. The kidneys are overloaded with the burden of working overtime for filtering and absorbing the excess glucose in your body. The excess sugar, which the kidney cannot store is excreted out of your body. This makes you urinate frequently. Due to frequent urination, the body gets dehydrated which makes you feel thirsty more often. The excess glucose in the blood eventually starts damaging the body. 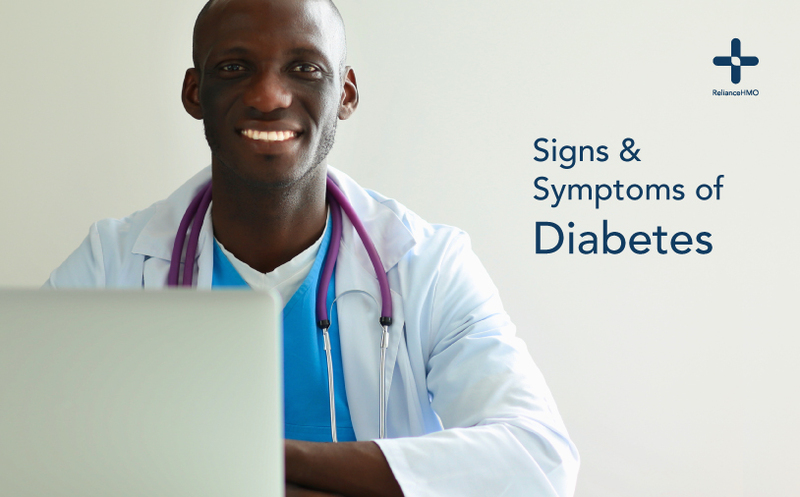 Knowing the symptoms of diabetes is essential in preventing critical illness or complications that could be fatal. Neuropathy, cardiovascular diseases, and nephropathy are some complications that arise when diabetes is not diagnosed and managed properly. Blurred vision: High levels of blood sugar caused by diabetes can affect vision by causing the lens inside the eye to swell. This swelling causes temporary blurring of eyesight. When diabetes is not properly managed, it could lead to blindness. Sudden weight loss: You might experience a sudden weight loss of 5 to10 kgs within a month. This happens when sugar metabolism ceases very quickly. Insufficient insulin prevents the body from taking in glucose in the body cells from the blood to use as energy. In such a scenario the body starts burning fat and muscle for energy. This results in weight loss. Increased fatigue: The cells in your body might not get enough energy either due to the absence or improper functioning of insulin in your blood. This makes you restless more often and you may even feel too weak to do your regular activities. Excessive hunger: The cells in your body might not get enough energy either due to the absence or improper functioning of insulin in your blood. This makes you hungry quite often. If you notice any of these symptoms, you can determine the level of sugar in your blood with a fingerstick blood test, using any available glucose meter. This will enable you commence treatment rather than face possible complications later. For more advice and help, feel free to ask a Doctor online.